Vilket vackert foto! Jag förstår domarens val. Tusen tack! 🙂 Jag tyckte att förklaringen var så bra. Congratulations to you all – a truly beautiful and Christmassy photo !! You could use it for cards next year! Thank you for sharing this – I love the way they all have their tails curled around their toes keeping them warm !! lol!! Thank you! 🙂 Yes, the tails! 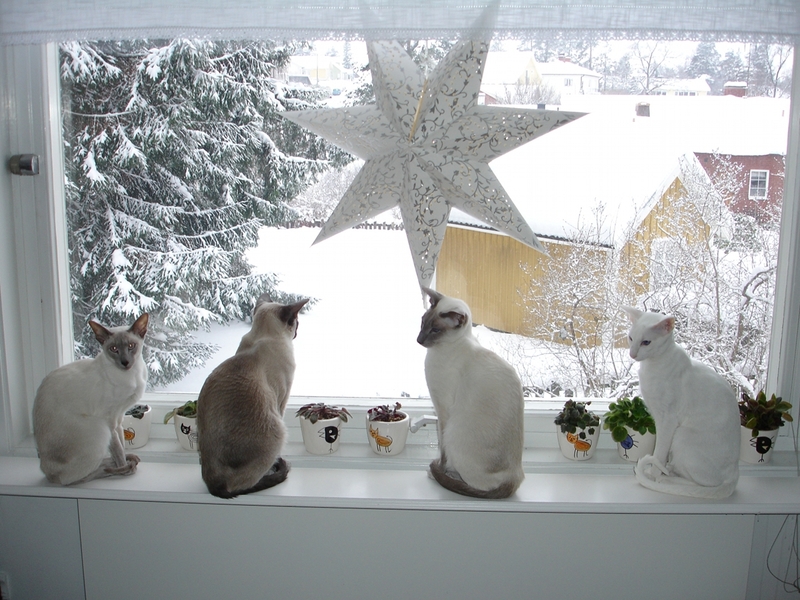 🙂 And the radiator is under the window, the cats like to lie there and enjoy the warm air that comes from bellow. Congratulations, a beautiful photo. Thanks for sharing with us. Thank you! 🙂 I am so happy, I didn’t expect we would win. It is a bit extra great since the judge was a professional photographer.